Hello I’m in need of storage for all my Blu-ray movies. I have in excess of 200 movies and growing so I’d like to find a nice rack that doesn’t take up a lot of floor space yet big enough to hold my collection. Thanks in advance on any advice given. Edit: Also, just to note this pic was taken before I painted the screw heads black to match. Looks very nice. It’s hard to tell from the photo but are your shelves the same depth as the sides? Yes, everything was built with 1x3s. They stand on the floor (by my choice) and as such I use a single bracket at the top to secure to the wall. The design was based on some Youtube videos on building one for $25. I choose to go with higher end lumber so it was straighter. Cut to my needed sizes, pre-drilled holes for the side screws, and painted. 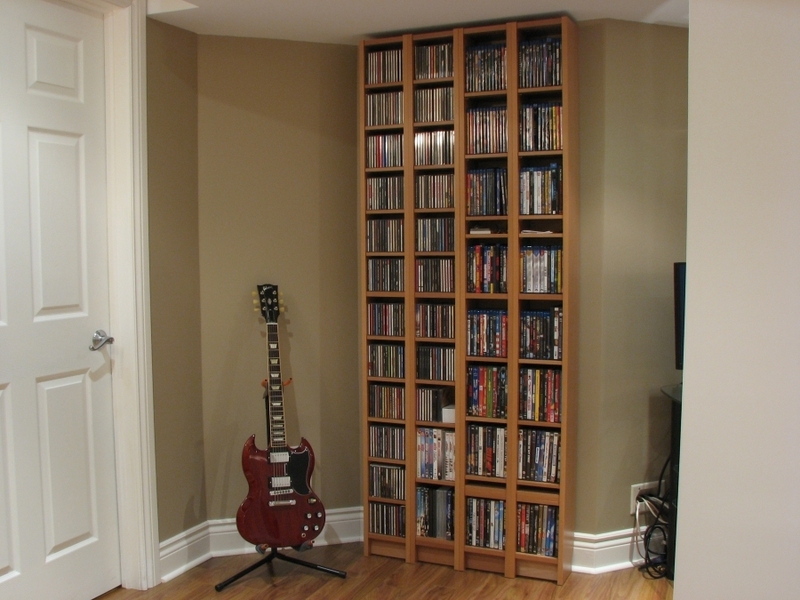 Because I was able to go much taller than any store bought shelving is going to, I was able to fit all of my discs in that corner, which amounts to some 650 movies, plus another 50-100 miscellaneous videos, box sets, and TV series. I was running out of storage space for my growing DVD collection. I was also running out of ideas but Neo’s compact DVD storage boxes saved my time and my collection. a screw in the face of the metal. I expect to end up with cheap storage, that will be very solid and nice looking and fill a 14' section of wall.